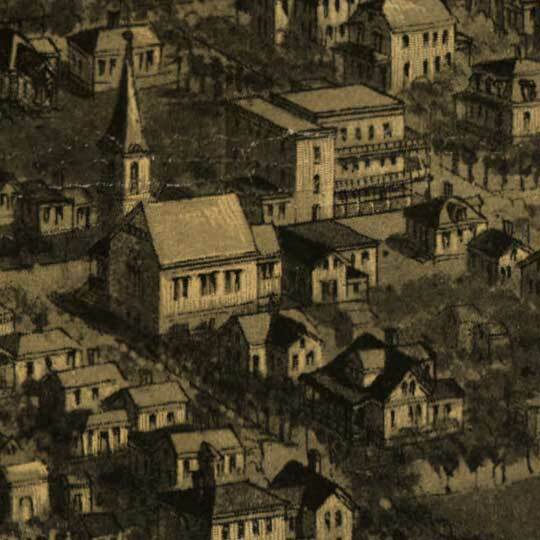 H. Wellge's birdseye map of Billings, Montana in 1904. 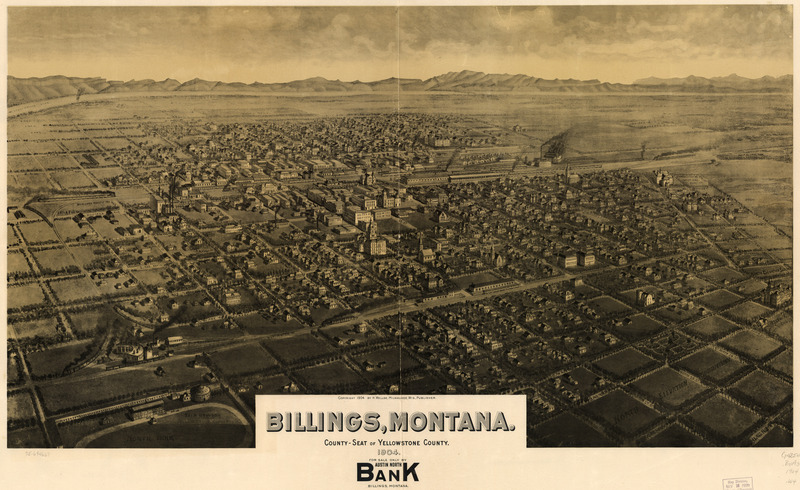 Made very late in Wellge's career as an artist, this image of Billings [gmap], Montana shows many of his trademarks; one that stands out the most is his unique sense of rendering smoke effects from chimneys, trains, etc. For more maps and images from this period in the region's history, visit the Montana Historical Society. Sure hope The59King isn’t wearing himself or herself out trying to deliver maps 5 days a week. It’s OK to take a rest regularly, even often. We didn’t get maps in August, or in October, but that’s just fine as long as The King is taking care of himself or herself. Interesting that the view he chose was looking south, not looking north towards the Rims…maybe that wasn’t as big a selling point in 1904.